There's a whole lot of ramen spots that I've been to lately, but the good thing is, I still love them all. The soup is what makes up a good ramen dish, so it's nice to note that the new Bari-Uma Ramen @ Jaya Shopping Centre served up some really concentrated ramen soup with very nice ingredients. We were there the other day to check out what they had to offer. Bari-Uma Ramen has unveiled an outlet at the new Jaya Shopping Centre, Petaling Jaya, which also marks the beginning of this famous Japanese ramen chain in Malaysia. 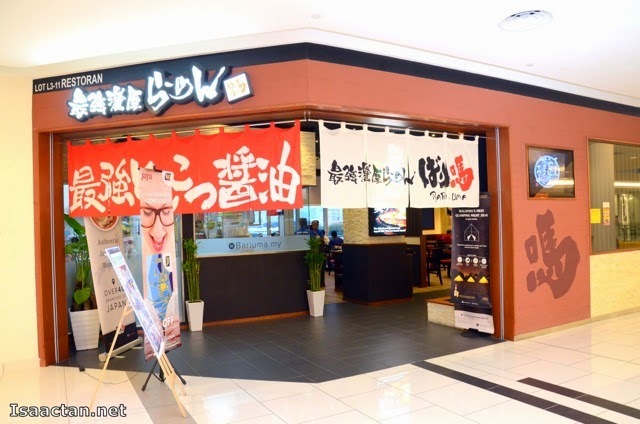 Established in the year of 1992, Bari Uma successfully beat through the competitive ramen business, opening more than 40 outlets across Japan, and expanded to Singapore last year, Malaysia this year. The first ramen dish that arrived, which is also one of their signature dish, the Noritama Uma consist of handmade noodle immersed in a bowl of cloudy white pork bone broth in shoyu flavour. I must commend the chef on a well made pork bone broth as it was very tasty and flavourful, without being too thick. It wasn't a surprise then, when I was told the soup was actually boiled for more than 6 hours before being served. 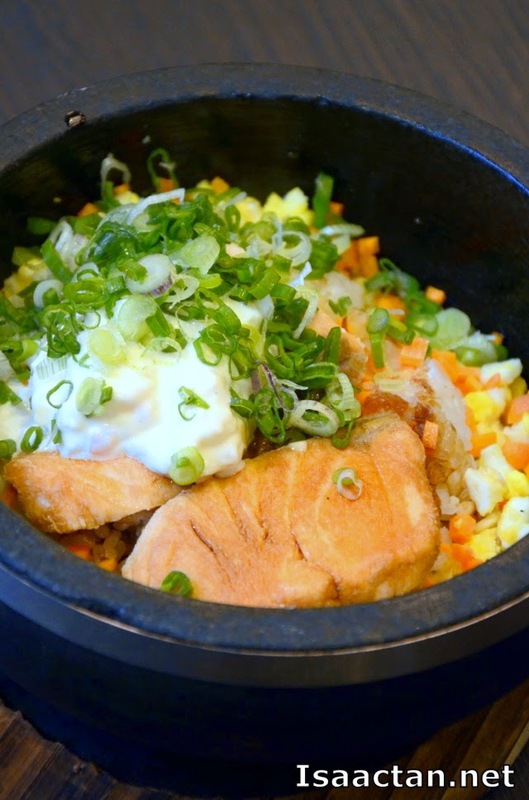 Japanese fried rice, lightly flavoured and fried, but with chunky bits of Salmon, the Ishiyaki Chaofan (Salmon) was a pretty satisfying dish. For those who prefer a heavier taste might not like the lightly fried rice, but I must say, the slightly burnt rice gave a satisfying crunch when mixed up together in the very hot stone pot. I never say no to a good slab of pork, and here at Bari Uma Ramen, they serve one of the best thick cut flamed chashu, or Aburi Chashu that I've had in a while. The layers of fats melted together with the flavourful meat, giving out an intense aroma even before we bit into it. Good stuff I tell you. Bari Uma Ramen had an interesting spread of Gyozas, from the original ones to the ones we had that evening, namely the Teri-yaki Gyoza and the Negi Mayo Gyoza. 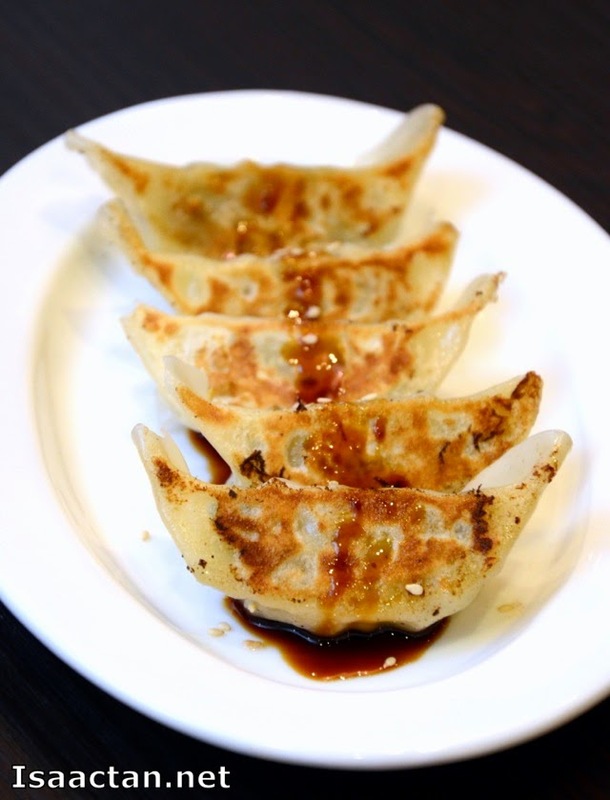 The Teri-yaki Gyoza was doused in my favourite teriyaki sauce, good to have it on its own without the need to dip into any sauce. 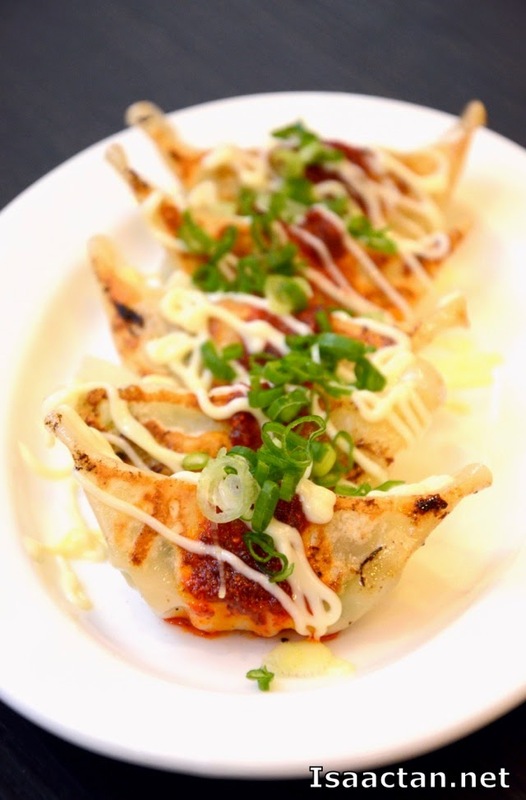 The Negi Mayo Gyoza had a unique flavour to it, tasting really spicy due to the chilli powder sauce. Overall, the gyozas were pretty good, one won't be enough. I've always loved Yakitori sticks, which could be found at every corner restaurant or stall in Japan. Here at Bari Uma Ramen, they had the Yakitori Combo which gave us a chance to test out all five of their Yakitori flavours, namely the Negima (Chicken thigh and leeks), Butanegima (Pork thigh and leeks), Tori-niku (Chicken thigh), Sasami (Chicken breast), and Butabara (Pork Belly). 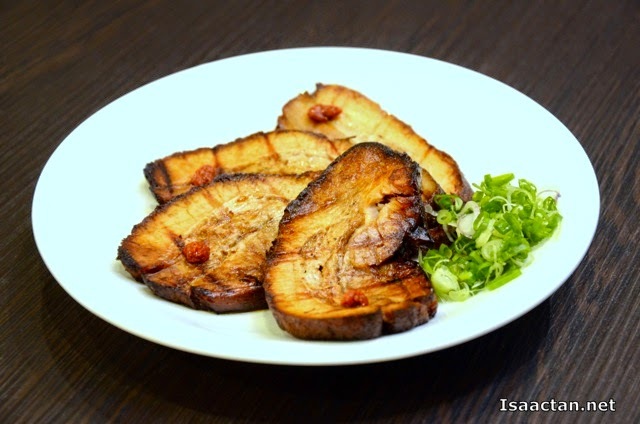 Needless to say, my favourite would be the Butabara, thanks to the soft, tender and very delicious flavoured pork belly. 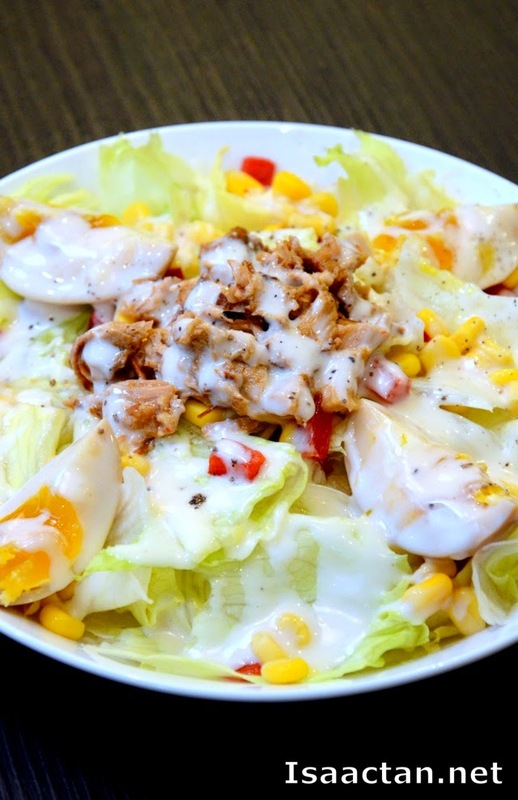 It was nice to note they serve some nice salads in the form of their Bari Uma Salad, as well as their Aburi-Salmon Salad. The one we had, have these chashu pork mixed in, tasting great! 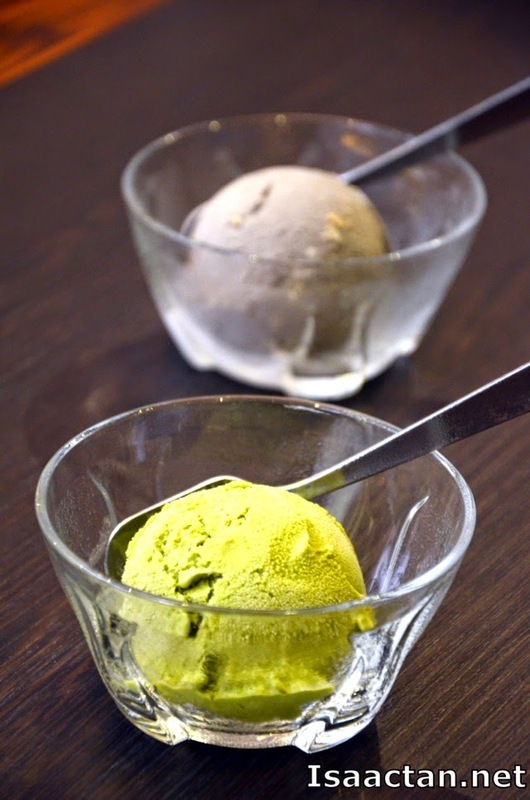 We ended our meal with some ice cream dessert in the form of their Matcha (Green tea) and Kurogoma (Black Sesame) Ice Cream. 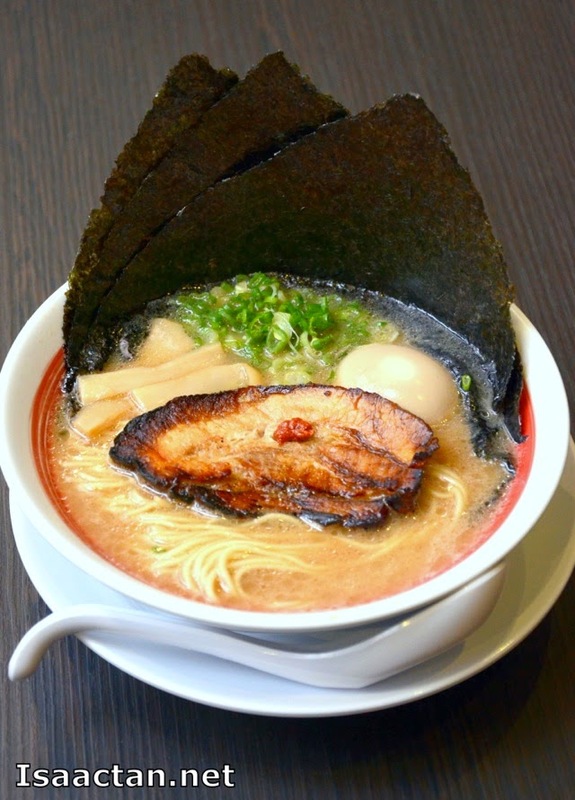 Do check out Bari-Uma Ramen at Jaya Shopping Centre the next time you're in the vicinity. Not crazy about Japanese but these look good! Wouldn't mind having them for a change.